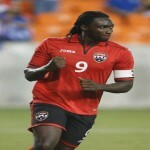 It has been interesting to watch recent debates sparked by Trinidad and Tobago forward Kenwyne Jones’ rather public dispute with his employer, Stoke City. Jones was fined two weeks’ wages by Stoke manager Mark Hughes for informing him, by text, that he would not attend his club’s recent fixture against Liverpool. 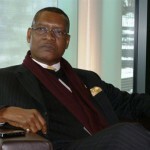 There are those who have said that the punishment was harsh – after all, Jones had not been used recently and would, almost certainly, have watched the game unfold from the sidelines. Others said Jones wanted to transfer away from Stoke and was vexed that his request was denied by Hughes. 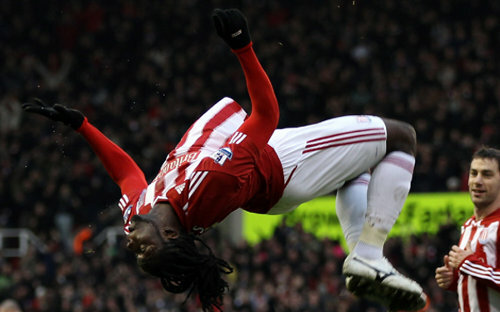 Photo: Trinidad and Tobago attacker Kenwyne Jones is not head over heels for Stoke City at the moment. 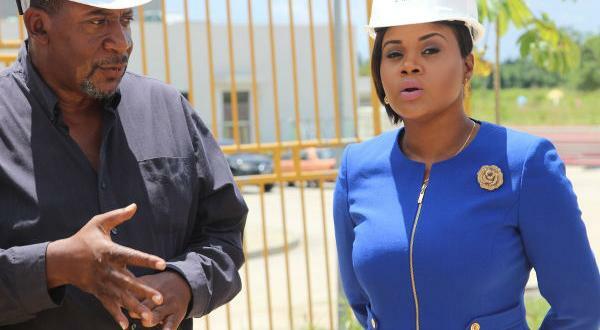 We don’t know the details or the reason for this rift, but it does raise the point about the rights of footballers, their obligations to their employers and the ability of clubs to control the careers of their players. Having experienced players and clubs actions from the viewpoint of a football supporter, a footballers’ union representative and a football club director, it is usually difficult to see these disputes resolved to everyone’s satisfaction. A supporter usually sees things from a very partisan position; their only interest is the club. Players, owners and coaches come and go but supporters are there for life. They want their club to win games and if some petulant prima donna believes he is bigger than their club, they will close ranks and make their feelings known. They will bestow hero status on an average player who, literally, gives blood for their club; but if a player disrespects their club, he will feel the full force of fan power. Deciding to skip a game – especially one as big as the Liverpool match – will not endear Jones to the Stoke faithful. 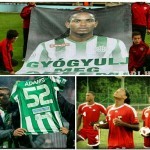 Every great “KJ” performance or goal will be forgotten; the Jones replica jerseys will become an embarrassment. 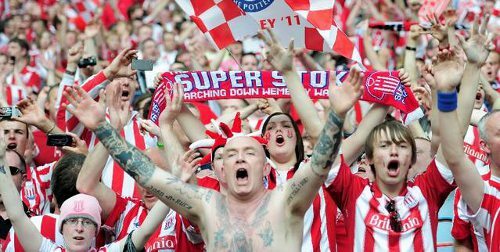 Photo: Stoke City supporters… Try explaining to this lot why you did not feel like turning up against Liverpool. Again, this may not be fair, as Jones may well have very pertinent reasons for his actions and may feel justified in his protest. But when have fans ever been fair? Ask any referee or linesman! Having worked with players and clubs as a representative of the English Professional Footballers Association, I have witnessed dreadful behavior by clubs and coaches and equally poor behavior by players. Both believed that their actions were justified. Football is different to most professions. Whereas, for example, a factory or office worker can call – or maybe text – their boss to say that they won’t be in work today in what is known in the UK as a “duvet day” (so called because people prefer to stay in bed under their duvet on a cold wet Monday morning), footballers do not enjoy such latitude. 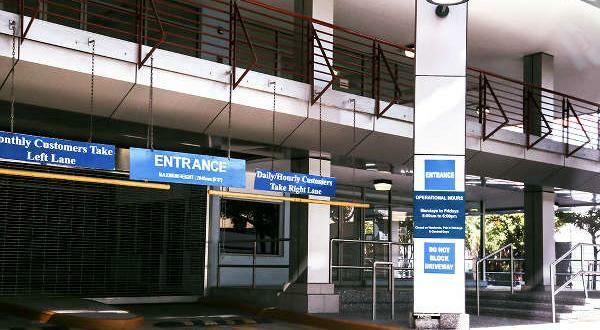 Footballers sign very rigid contracts which usually stipulate that when a player is injured or ill, unless he receives permission from the club physio or doctor, he must attend training. Usually, the player is expected to change into his training gear and, if the physio decides he cannot train, he watches the training from the sidelines. 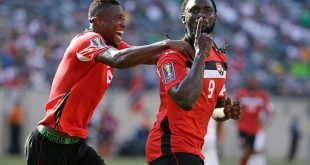 Photo: Trinidad and Tobago forwards Kenwyne Jones (seated right) and Cornell Glen share a joke while being iced during a national training session. Similarly, personal or family problems cannot be an automatic reason for non-attendance. 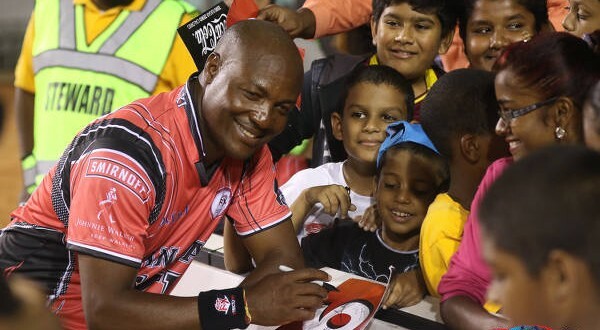 A call to the coach may result in permission to miss training or a game but suffering from a “tabanca” will often not be reason enough to stay at home. This may seem very archaic to some but football clubs run on discipline and you simply can’t have players decide to miss training or games because they don’t feel up to it. Reportedly, Jones earns the equivalent of TT$400,000 per week. 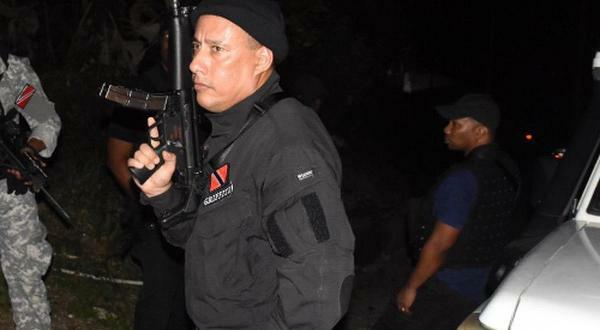 That is more than nearly five years’ salary for a Trinidad and Tobago police officer. Is it really so bad to be paid that kind of money to watch football from the stands or have to drag yourself to training when you feel under the weather? But, of course, the size of his pay package is irrelevant. Jones deserves to earn as much as he can and if Stoke City didn’t think he was worth the money, they wouldn’t agree to pay him. And like any employee, his basic rights do not diminish according to how high his salary is. He is human and he has emotional and professional concerns. I have never met a footballer who enjoys sitting in the stands watching others play. 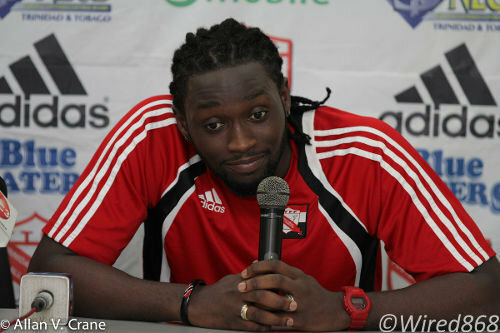 Photo: Trinidad and Tobago and Stoke City forward Kenwyne Jones has a word. There is also the rejection of being passed over by his employer. Aside from seeing teammates selected ahead of him, Jones has also watched new arrivals push him further from the starting lineup. This must take its toll upon his psyche. And what about the club and coach? Hughes is living on a tightrope. A string of poor results will see him without a job and those results depend on the players’ performances, which often hinges on good team work and morale. When a player starts to “act up”, it can affect the harmony and morale of the entire squad; so, standards must be maintained and examples made. The biggest fear is that one incident leads to another and, before long, the coach “loses the dressing room”, discipline breaks down and performances drop. So a coach will always try to nip this in the bud, even if it he may seem heavy handed at times. 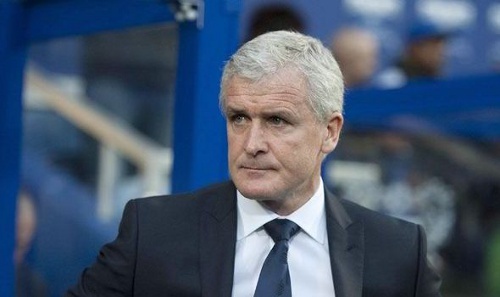 Photo: Stoke City manager and former Manchester United and Chelsea star Mark Hughes. Meanwhile, Stoke City is obliged to pay Jones’ salary whether he is playing or not and, in return, expects him to be professional. It appears that Hughes does not want to part with Jones. Although he prefers to play Peter Crouch upfront, Crouch could become injured or lose form at any time and it might be reassuring to have a striker of Jones’ quality in reserve. It may not be ideal for Jones but that’s the nature of the beast. Many players have been in that position and the only answer is to keep training and try to impress the coach. If you get your chance, you have to take it. The worst position in football is reserve goalkeeper as substitutions are rare and squad rotation usually is not a factor. Former Trinidad and Tobago goalkeeper Tony Warner won a FA Cup runner-up medal for Liverpool despite never making a first team appearance for them in five years! Clubs and players will always have disputes and players’ unions are essential to mediate between the two and resolve the dispute, if possible, with no damage to the player’s career. 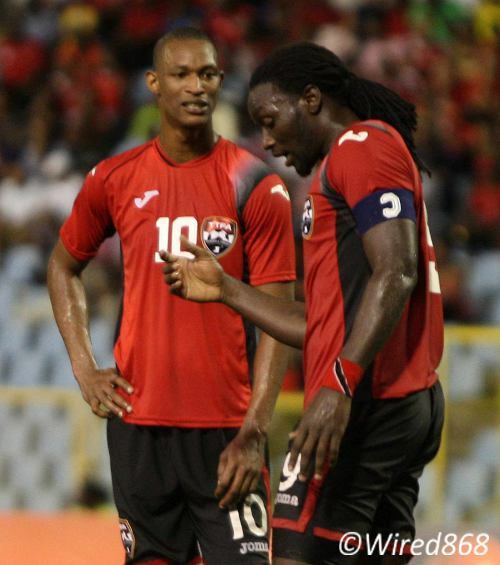 Photo: Trinidad and Tobago goal scorers Ataullah Guerra (left) and team captain Kenwyne Jones have a word during their dismantling of Jamaica. If a player has acted incorrectly, the union would encourage an apology and try to limit the punishment metered out by the club. Of course, if the club has behaved incorrectly, the union will use its full weight to support the player. But, they will aim for a win – win resolution if possible. Having the privilege of knowing Jones, I suspect his reasons were sound but his actions might have been out of frustration. With the involvement of the PFA, I’m hoping that both player and club will move past this dispute and Jones will be able to focus on his game. It may be that Jones gets his way and a transfer out is arranged. A fresh start would do him the world of good and Hughes won’t want to keep a player who is unhappy. However, Hughes also cannot allow Jones’ actions to set a precedent where players force their club to allow them to move on. He has to win points to keep his job and he can only allow players to leave if he has replacements ready. 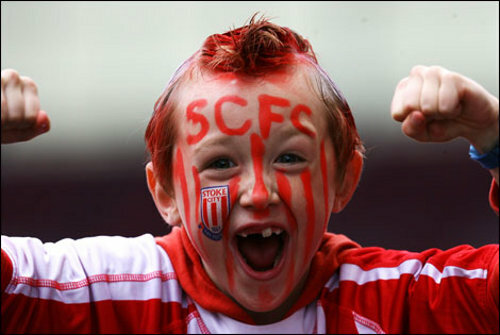 Photo: Stoke City fans will only care about their team winning; no matter who is playing or managing the squad. In the meantime, Jones could do without the label of “trouble maker” following him to the next club. 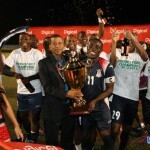 The world of football is small and reputations can easily be damaged, even if the player is in the right – ask Brent Sancho and Kelvin Jack! Stop playing with those soldiers, Griffith! Kevin Harrison is an England-born marketing official who is employed as the Operations Director at Central FC. He was the North East Stars' Marketing Manager for the 2011/12 season while he previously worked as a field agent for the English Professional Footballers Association. Look at the stats from this season. As a forward only one aspect of your performance counts when all is said and done and KJ is right there with Crotch. Kenwyne has played better this season but he is still a LONG way off from being the striker people in England envisaged him to be. His deficiencies are glaring especially when next to a player like Crouch who is as strong in the air as Jones but miles better on the ground. You are human as the author pointed out but you’re PAID HANDSOMELY to do your job. You’re telling me Jones feels he is going Everton to start in front Lukaku? At least in Stoke he is already familiar with the sweet spot on the bench. How long might it take him to get comfy at Everton’s?